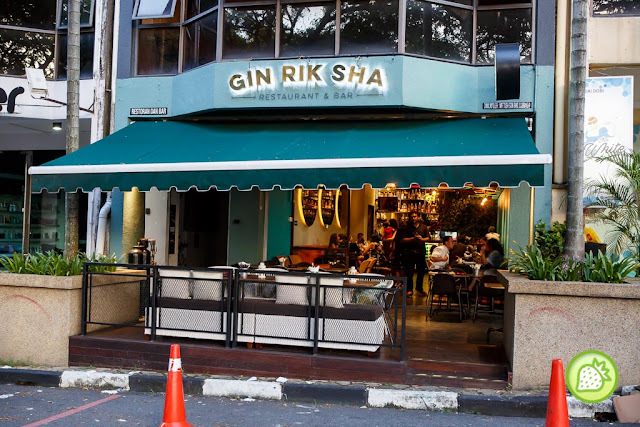 Located in Bukit Damansara, GinRikSha brings you the vibrant, yet cosy interiors. With the beautiful featured wall of plants which is striking, I am impressed with the colourful wheels on the ceiling. 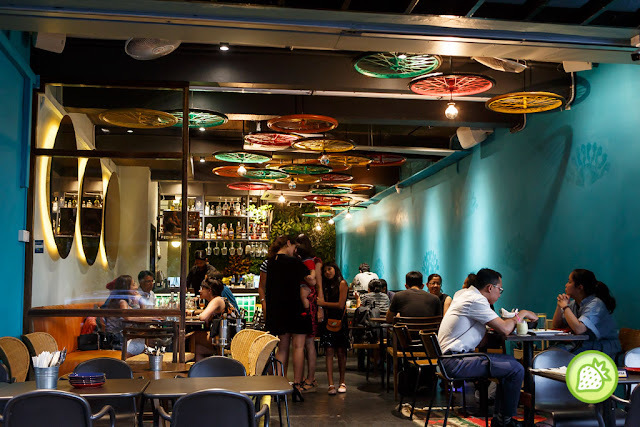 The restaurant interior has three large mirror discs on the wall and it gives off an artistic vibe. We also loved how the menu was presented as it is quite extensive and comes with a variety of dishes which are all pretty unique. 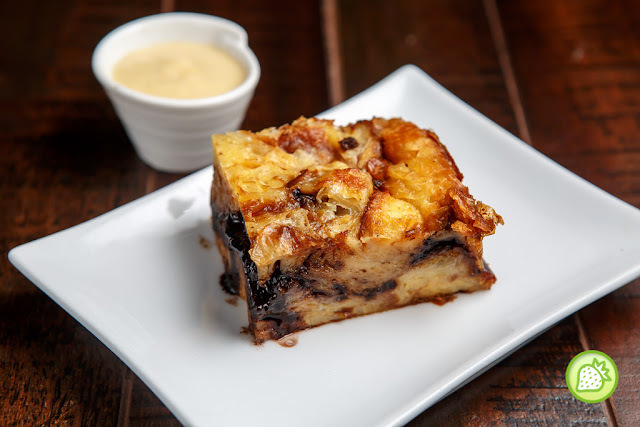 This is another of GinRikSha’s signature dishes where they use croissant instead of bread as the base for their bread pudding. 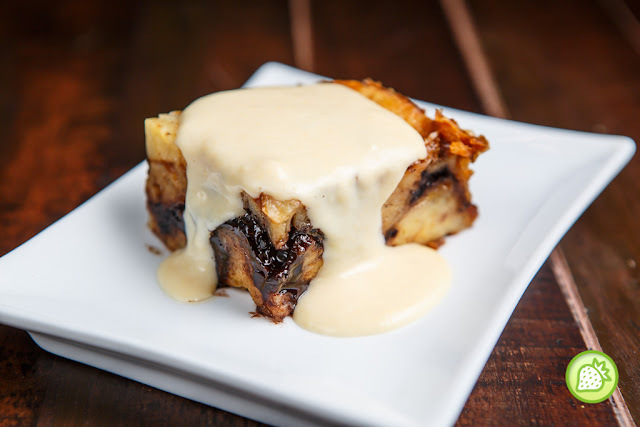 The dish is light and fluffy and tastes good as well. 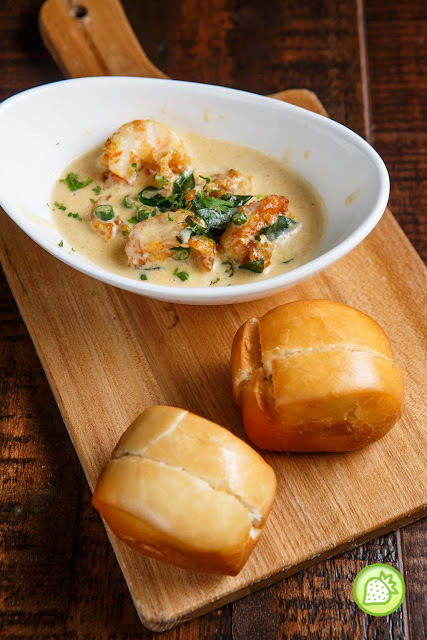 If you’re a seafood fan, this is what you should go for. It’s one of the Malaysian favourites and definitely is mine too. 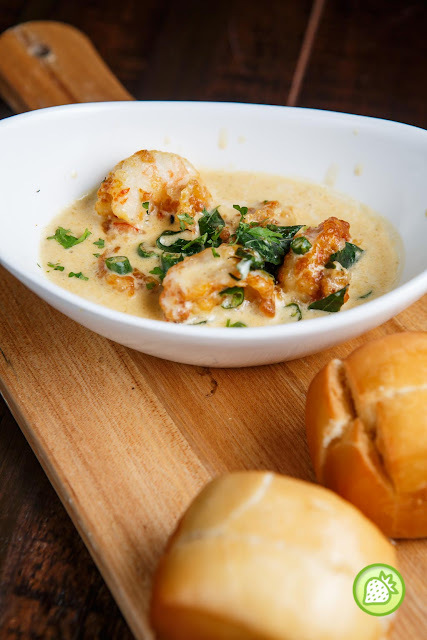 Enjoy the huge prawns soaked in buttermilk which comes with complete flavours and the sauce is simply appetising. Dipping your mantao in it makes the dish more heavenly. This was a lovely dish. I was impressed and I fell in love with it for sure. I enjoyed the Bombay Masala Salmon which was delightfully cooked. The salmon was perfectly cooked with a chili pineapple salsa and the dish has a combination of light spiciness in it. Enjoy the awesome, delicious risotto which is indeed a healthy vegetarian dish. The risotto was flavourful, creamy and amazingly good. The lightly peppered dish is served with fresh mint and cubed potatoes. It is simply delicious and MOST importantly comes with a subtle aroma. 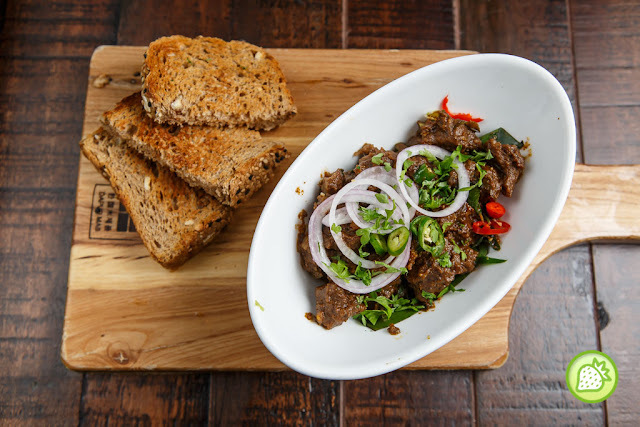 Enjoy the lovely Mutton Varuval as it is one of the MUST try dishes. 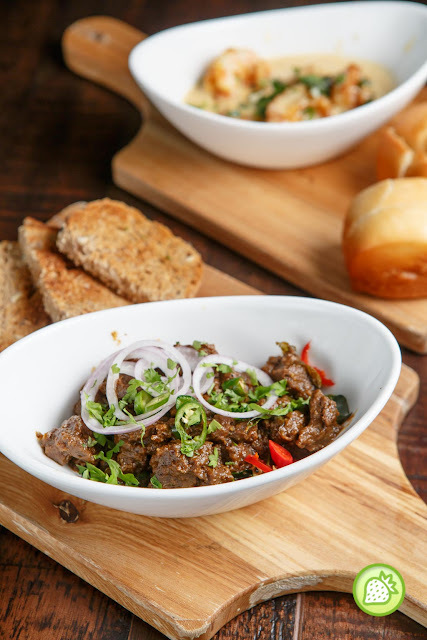 Served with the crisp French bread, one can have it paired with the bread-or even just the mutton on its own. . We understand that the recipe originated from the owner’s mum and they added a twist to it to modernise this classic flavours. This dish comes simply packed with flavour. We started with our Bar Bites- The Butter Chicken Poutine is indeed addictive. The well cooked French Fries paired with the twist from the Canadian Classic was addictively good. You can also enjoy chunks of butter chicken over the hot fries!